StarForce 4.7 DRM. Removed in Patch 1.22. Patch 1.22 requires the installation of patch 1.21 first. Search in the installation folder for cameras.xml. 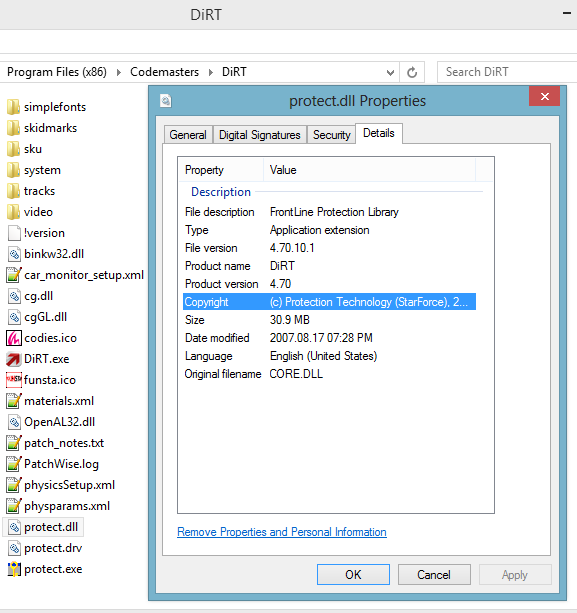 Select all files (47 in total), right-click and open properties. Untick the read-only option and click OK. Adjust the settings to your liking and click start. Modifying certain settings may not be supported and can cause errors. Modifications made during a race require quitting and restarting the race. 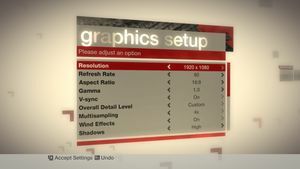 Change fullscreen from true to false. 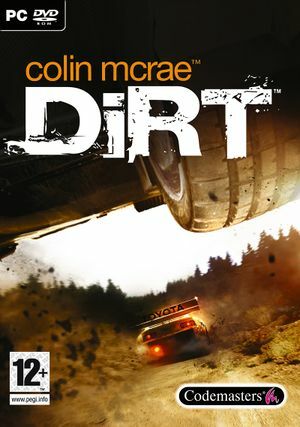 See Helix Mod: Colin McRae's DiRT. Define affinity for 7 CPUs threads (unmark one). ↑ 1.0 1.1 File/folder structure within this directory reflects the path(s) listed for Windows and/or Steam game data (use Wine regedit to access Windows registry paths). Games with Steam Cloud support may store data in ~/.steam/steam/userdata/<user-id>/11440/ in addition to or instead of this directory. The app ID (11440) may differ in some cases. Treat backslashes as forward slashes. See the glossary page for details.